Kim Kardashian denies divorce rumors and claims she isn’t pregnant on Twitter – why is she telling us this? Kim Kardashian is not new to Twitter rants, but this latest one has to take the cake. With just hours to go before New Year’s, Kim Kardashian decided to regale the world with her wonderful and thoughtful writing skills, and bombarded her Twitter followers with one of her longest rants yet. She wrote, “Kanye & I are not having marriage problems. Were literally obsessed with each other!” I would be more inclined to believe you, Kim, if you learned how to use grammar correctly. See, Kim Kardashian knows exactly what the media is saying about her, because she’s a giant famewhore who probably spends the entire day reading all the gossip about herself. She knows that the media was fixating on the divorce rumors because Kanye West was barely spending any time at home, so Kim specifically mentions that he’s spending New Years with her – at home. She knows that people are accusing them of getting a divorce because of the lack of time spent together, and she addresses that. She also knows that pregnancy rumors are a large part of the divorce rumors, and so she ‘corrects’ the media’s assumption there as well. Of course, Kim’s writing is so simplistic that she could be listing the menu options for her dinner and it would be equally as dry. Are we supposed to believe a D-list reality star when she says she’s not pregnant and not having marriage problems? Yeah, I don’t think so. What do you guys think? Is Kim Kardashian just tweeting for attention [again] or is she telling the truth? Let us know your thoughts in the comments below. 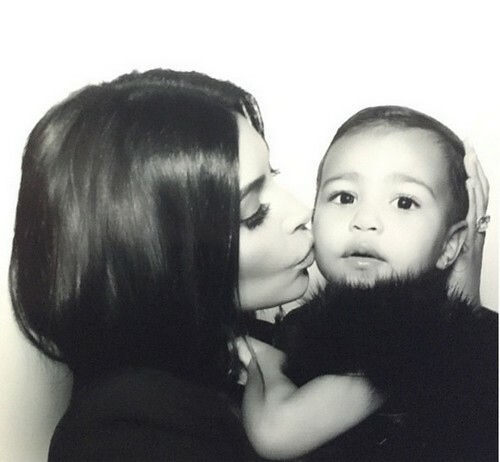 Kanye West will be the Better Parent: Kim Kardashian Ready to Sell Baby’s Life Away! Kim Kardashian Divorce Rumors Accelerate: Kanye West Spending Christmas Apart From Kim and North West?